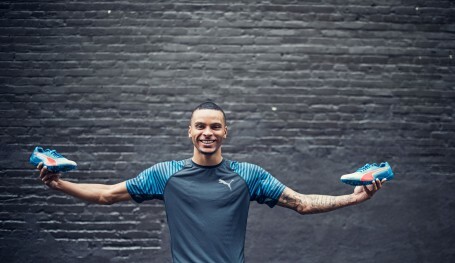 Herzogenaurach, Germany (7th December 2015) – PUMA is delighted to announce a new endorsement partnership with Canadian sprint sensation Andre De Grasse, the latest PUMA Running ambassador following a spate of other recent signings including Asafa Powell and Jenna Prandini. He is the reigning NCAA 100m and 200m Champion, and shot to stardom when he claimed a 100m bronze medal at the 2015 IAAF World Championships at only 20 years of age. De Grasse joins a long heritage of PUMA sprint legends that includes Tommie Smith, Linford Christie, Colin Jackson and Usain Bolt, and is is the perfect embodiment of the Forever Faster spirit that is driving PUMA to become the Fastest Sport Brand in the World. De Grasse will become an increasingly important athlete within the PUMA family as his career progresses. He will feature in running campaigns across all regions in the lead up to the 2016 Summer Games and beyond, and have greater prominence in brand marketing activations as his profile continues to rise. The long-term partnership will see De Grasse represent PUMA in many track & field seasons ahead, becoming even more of a focal point in the post Usain Bolt competition era.